One of the major objectives of the Centre for Arab Genomic Studies (CAGS) has been to bring together diverse expertise and resources pertaining to the field of medical genetics in the Arab World, thereby facilitating multidisciplinary research. 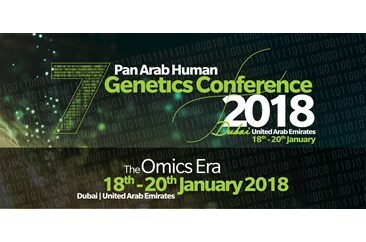 The series of Pan Arab Human Genetic Conferences (PAHGC), organized and hosted by CAGS, started off in the year 2006 with exactly this aim in mind. The two previous conferences held under this umbrella successfully brought about a congregation of regional and international geneticists to discuss common issues. PAHGC is now a tradition for geneticists in this region, and it, therefore, gives us great pleasure to announce and welcome you to the third conference of this series. Science is a collaborative effort, and nowhere else is this more apparent than in the discipline of medicine, particularly the field of medical genetics. Human genetics is a rapidly evolving area of study; an area in which, fortunately, the Arab World holds a wealth of expertise and resources. What is needed is an effort to bring these resources together and to work in a concerted manner towards the mitigation of our populations’ suffering from human genetic disorders that continue to plague the region. We hope that the PAHGC enables us to take those few crucial steps towards establishing fruitful co-operation among regional researchers. We look forward to your presence and active participation at the Third Pan Arab Human Genetic Conference (PAHGC), to be held on the 13th and 14th of March 2010 in Dubai, United Arab Emirates.